I'm so excited about today's post. I have spent the past few days scouring the internet in attempts to find the best prom dresses at any budget. These aren't just any prom dresses, but they are ones that are perfect for the girl who loves minimalist style and who wants to stand out without all of the extra frills. I consider prom to be one of the only "red carpet" moments a lady has in her lifetime. So, my main goal when picking these dresses was to find things that I think would be land you on the best dressed list. I think the trouble most ladies have when choosing their prom dress is struggling to lose the wedding dress vibes. It can be tough searching for a dress that doesn't scream princess when you love a more streamlined, minimal look. I know I had trouble when originally searching for dresses until I (quickly) decided to design my own. The dresses I chose are all super stunning and do a nice job at showing off some skin while still managing to be a bit modest. Here are my picks of standout dresses for the lady who loves minimalism (and dancing). 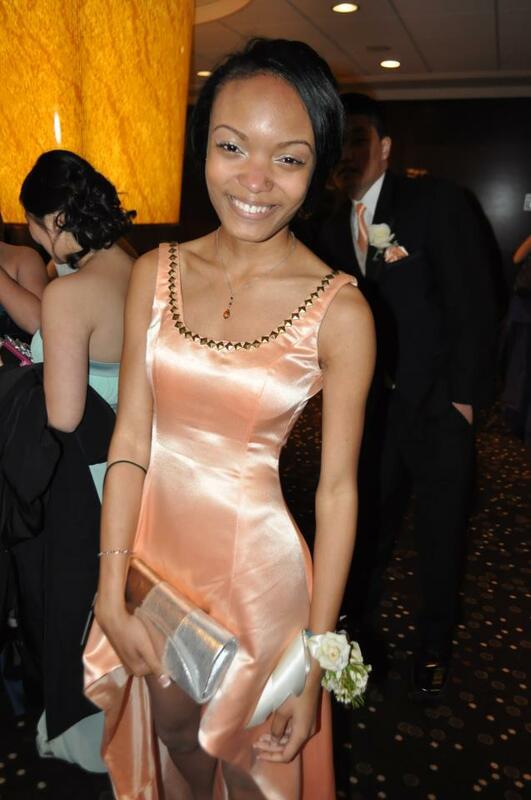 Here's a little extra of me at prom back in 2012 wearing the dress I designed and got custom made. I went for a high-low silhouette so my dress could float when I was walking. I wanted a metallic vibe so I picked out this medium weight satin fabric, sourced the studs from eBay, and found my clutch at Charming Charlie. Looking back on it, I definitely would've done a few things differently but at the time I was super happy with the outcome. Let's not get started on my choice of makeup. Ha! I hope you love these picks as much as I do, and good luck on your prom dress hunt!